I am currently a fourth-year PhD candidate in Computational Social Science in the Management Science & Engineering Department at Stanford University advised by Johan Ugander. My research focuses on developing statistical methods for characterizing social structures in networks, with applications to data privacy, and focuses on promoting equitable digital systems that feature complex cultural and political considerations. I received my BS in Mathematics from Ohio University in 2012 where I was also a Barry M. Goldwater Scholar, completed a research fellowship at Stanford Law School with Alison Morantz and Daniel E. Ho in 2012-2014, and received my AM in Statistics from Harvard University in 2015. I was previously a Member of Technical Staff in the Data Science and Cyber Analytics Department at Sandia National Laboratories and am a 2016 SPOT Award recipient based on my research. During the summer 2017, I joined the Social Science & Algorithms team at Netflix for an internship analyzing word-of-mouth effects and other social signals. During the summer 2018, I did graduate research at Stanford University. 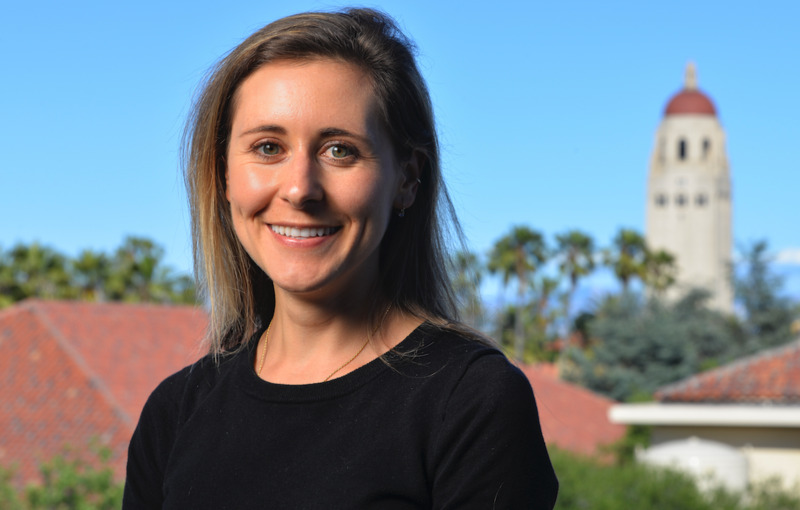 I am a 2018 Stanford Data Science Scholar, am a Graduate Student Fellow of the Regulation, Evaluation and Governance Lab (RegLab), am a member of the Society & Algorithms Lab, and am supported in part by a National Defense Science and Engineering Graduate Fellowship. Kristen M. Altenburger and Daniel E. Ho (2019, Forthcoming). Is Yelp Actually Cleaning Up the Restaurant Industry? A Re-Analysis on the Relative Usefulness of Consumer Reviews. WWW. Alex Chin, Yatong Chen, Kristen M. Altenburger and Johan Ugander (2019, Forthcoming). Decoupled Smoothing on Graphs. WWW. Kristen M. Altenburger and Johan Ugander (2018). Node Attribute Prediction: An Evaluation of Within- versus Across-Network Tasks. NeurIPS Workshop on Relational Representation Learning. Kristen M. Altenburger and Daniel E. Ho (2018). When Algorithms Import Private Bias into Public Enforcement: The Promise and Limitations of Statistical De-Biasing Solutions. Journal of Institutional and Theoretical Economics. Kristen M. Altenburger and Johan Ugander (2018). Monophily in social networks introduces similarity among friends-of-friends. Nature Human Behaviour, 2(4), 284. Kristen M. Altenburger, Rajlakshmi De, Kaylyn Frazier, Nikolai Avteniev, and Jim Hamilton (2017). Are there Gender Differences in Professional Self-Promotion? An Empirical Case Study of LinkedIn Profiles among Recent MBA Graduates. Proc. 11th AAAI Int’l Conf. on Weblogs and Social Media (pp. 460-463). Kyler Siegel, Kristen Altenburger, Yu-Sing Hon, Jessey Lin and Chenglong Yu (2015). PuzzleCluster: A Novel Unsupervised Clustering Algorithm for Binning DNA Fragments in Metagenomics. Current Bioinformatics, 10(2), 231-252.
and have served as a reviewer for Big Data & Society. Stanford Data Science Institute in Stanford, CA. Talk on Computational Social Science: The Role of Social in Social Theory, Social Media, and Social Engineering. November 8, 2018. Network Science Institute at Northeastern University in Boston, MA. Talk on Ruffled Feathers. Joint work with Johan Ugander. October 25, 2018. Dean’s Seminar Talk at Sandia National Labs in Livermore, CA. August 9, 2016.